If you can envision a refreshing oasis that both adds to the beauty of your home and reflects your personality, we can make it a reality. You can create the backyard paradise you always dreamed about with a Cardinal swimming pool. 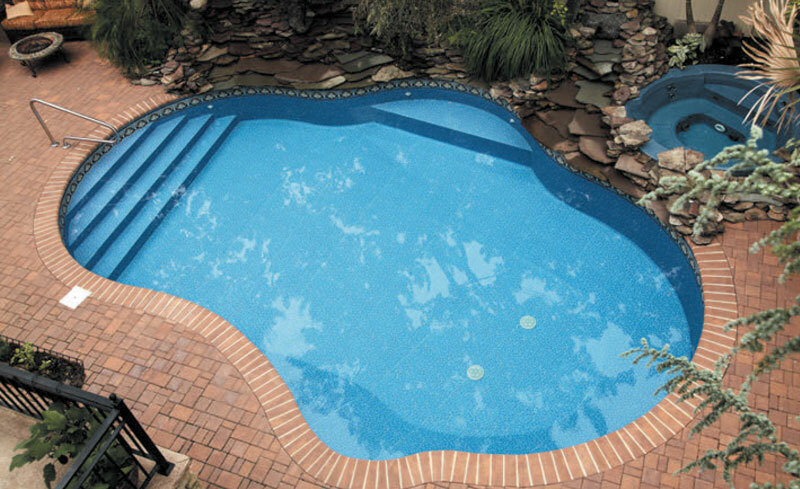 By using quality steel in manufacturing our in-ground swimming pools, we can shape and create anything you can imagine. Elegance and variety are central to our custom designed swimming pools. Personalize your pool to fit your lifestyle. The Cardinal pool system has no limits. Cardinal is the world’s largest manufacturer of galvanized steel wall in-ground swimming pool panels and components. Our manufacturing facility uses the most sophisticated and technologically-advanced equipment in the swimming pool industry. 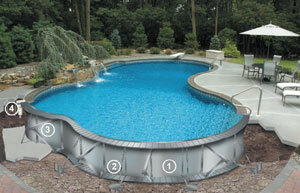 Customize the pool of your dreams or choose from one of our popular pool shapes. Whether you want an area for children to play or a sunbathing section where you can lounge at your leisure, we offer you our time-honored promise: “Custom is standard.” So get creative and make your backyard bloom! 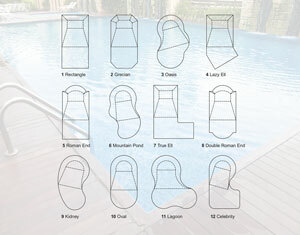 Click here to view a PDF of all of the available in ground pool shapes. The strength of steel has helped to create the very society we thrive in today. It is utilized in many applications: car and truck frames, guard rails, suspension bridges, ships, construction equipment, and railroad tracks. It is also one of the most widely recycled substances in the world, with an average recycled content up to 80%. Galvanized steel panels can be sheared, punched, notched, and bent to fabricate unlimited shapes and sizes. When you combine your imagination with our engineering, the possibilities are endless. The top, bottom, and vertical flanges, as well as panel stiffeners (“Z” braces), are secured using the togglelock fastening system. The result being a panel with maximum strength, minimal deflection, and a perfectly square structure each and every time. One of the several types of adjustable wall supports that assure a straight, square structure with or without water. The use of deck braces permits concrete or other decking material to be installed immediately after the pool is installed, without waiting for the back to settle. The inverted “A” shape transfers the weight of the deck to the base of the wall using the outward pressure of the water to equalize the stress on the wall. 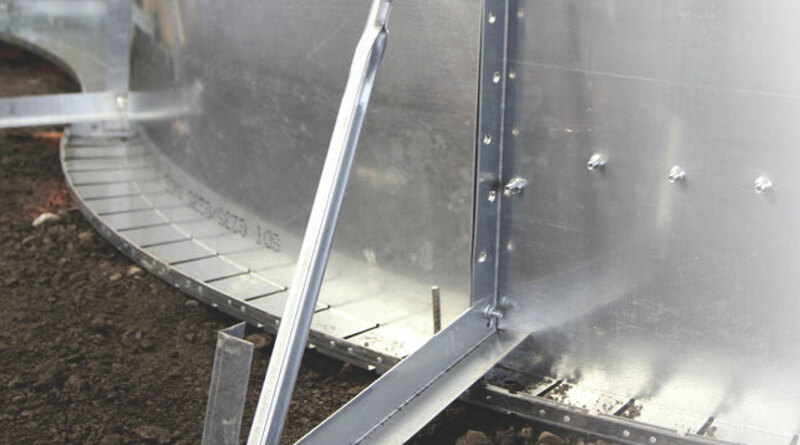 Designed to support the weight of the skimmer during and after backfilling, the skimmer support fits securely under the skimmer on the wall’s bottom flange.